Get the help of a friend, grandparent, auntie, or spouse and ask them to watch the children for a few hours. I’ve done some experimenting with this and I find that I need at least 4 hours to myself before I feel rejuvenated. Once arranged, write this date and time on the calendar and stick to it! I have many more items on my list, but this sampling may help you start your own list. 3- Choose something that will inspire your mom journey. Every retreat should have a focus. Since this is your mom retreat, select something to do that will inspire your continued mom journey. Perhaps you could read a chapter or two from a high quality parenting book? Maybe you struggle with mom frustration and anger? You could read a few chapters from Count to Nine: 9 Liberating Steps for Mom Frustration and Anger by Ruthie Gray. Or maybe you want to become more intentional with your parenting practices? My parenting workbook, Becoming a Deliberate Mom is the perfect tool to include in your mom retreat! Choose something that will inspire and encourage you… then pencil it in! 4- Make a mom retreat plan. Look over your brainstorm list and your mom inspiration ideas. Make a plan for the date you have set. I encourage you to write an itinerary. Here’s an example to inspire you…. The night before your retreat prepare everything you can for your “mom event”. This may mean chopping fruits and vegetables for your snacks, ensuring your aromatherapy diffuser is full and ready to go, and collecting any “supplies” you may need (i.e. a basket with your Bible, an adult colouring book, candles, etc.). On the day of your retreat, set your phones to go directly to voicemail and follow through with your plans. Enjoy! Have fun with it! Most importantly, recharge and rejuvenate. Have you ever had a mom retreat? What do you like to do to recharge your energy reserves? We really need to take that time to rest and rejuvenate – it’s hard to care for others when we never take the time to care for ourselves. I’m planning a retreat day next week… I can’t wait! It’s fun to have something to look forward to! I love your plan Jennifer. As moms we never have enough time for ourselves. I’d love a mom retreat, but it probably won’t happen for some time. Seeing that I can’t even get a date night with the hubs, haha! 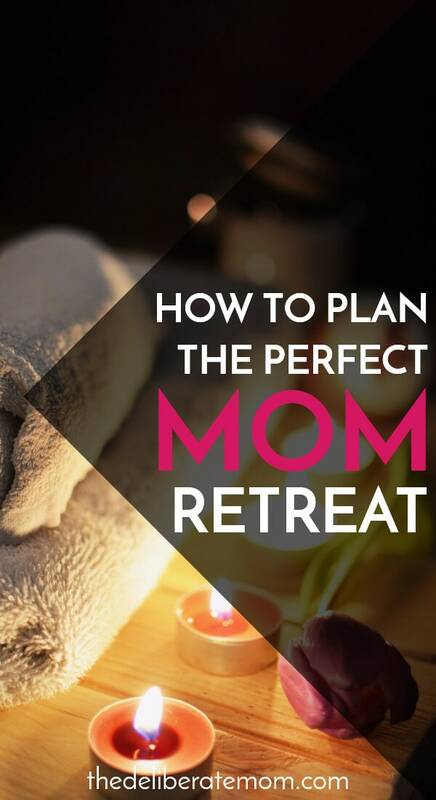 Maybe in a couple months you could have a mom retreat… I swear all it takes is 4 hours and you’ll be energized! I’ve got one planned for next week! I can’t wait! Your mom retreat sounds wonderful! Emily I just love all the elements you would include in your mom retreat! Thanks for sharing your thoughts on this. I hope you get a retreat sometime soon! It’s so important to take that time to yourself. Even if you can only squeeze in 20 minutes a day… it really helps to rejuvenate and energize! I commend you on getting the dog to puke outside in time. We try that..
At least they give warning, right? A mom retreat is important. I guess I had one when I went to NYC, because solo hotel, but it was also work and that means it wasn’t a true retreat. LOL – well as soon as I hear the cue (doggie heaving) – I make a mad dash to grab him and push him out the door. Half the time he knows to go puke by the front door but man he’s a beast to get outside! Yes, we need those mom retreats. I get one tomorrow – my kids have daycamp all week! Whoop! Whoop! Unfortunately I’m sick with a chest cold but the bliss of being sick in the silent comfort of my home. This line resonated with me today! Those entirely unglamorous moments, stolen from the edges of hard days, to refresh. We need those moments whenever and however we can get them. They aren’t pretty and can’t be necessarily planned for, but we must seize the opportunity to rejuvenate. Praying for you my friend. I love this! I need a mom retreat. Actually I would just like to go to the bathroom alone at least once in my life, so starting small is probably a good idea for me. An hour hiding in my bathroom with a nice candle, a book and a warm bubbly tub sounds pretty awesome! I am going to do it. Look out world when I do, because I just might be a new woman! This is really lovely! It really does make all the world a difference when we moms get to have time alone. The other day when I had both hands full and both boys demanding assistance, I said “What have I told you? !” and my 5 year answered right back “You don’t have octopus arms” lol. I was like thank you, that is correct, now just hold your horses. Love this post Jennifer, this topic is near and dear to my little mom heart! I had quite a bot of time to myself last week. I felt so motivated and recharged as a result. Plus all the ways I wish to be for my girls (calm, patient, etc.) comes so much easier when I’ve taken care of myself. Glad you enjoyed this Jessica! I know you’re a fan of self-care… especially for the mama, so it means a lot that this post resonated with you. These are great ideas. I never thought to figure out the amount of time I need to be away to feel a benefit from it. That’s a really good tip. I’m delighted you enjoyed this Lauren. Yes, sometimes we just settle for whatever time we can muster up and while some time is better than none, it’s important that we periodically give ourselves enough time to recharge.